Witsand is an absolute treasure and is situated along the renowned Garden Route coastline in the Western Cape South Africa. There is an area known to the local residents as "The Nursery". In is here that Southern Right Whales cows calve as it offers a safe haven for the newly borne calves against the elements and especially great white sharks. Witsand is the only village on the Bay that has the infrastructure to accommodate visitors and has plenty to do for the whole family. 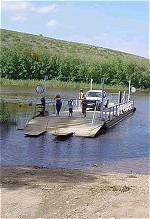 The most popular ways to reach Witsand and Port Beaufort are either via the Malgas pont or from Heidelberg. Witsand based in the South African Garden Route is a popular sea-side resort as it offers a multitude of water sports. 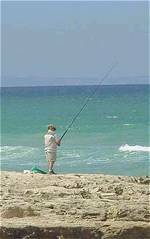 Included in this is very safe bathing, windsurfing, rock and surf angling, river angling, deep sea fishing, snorkel diving and spear fishing, whale watching, water-skiing, etc. 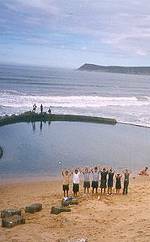 It has a 4km long unspoilt beach, leading to the well-known Moodie's Well. The South African Garden Route is popular for it's pristine, white beaches and summer weather and Witsand in particualr has a clean, white beach (hence Whitesands) with safe swimming spots for days in the sun. Parents with smaller children also prefer the calm swimming spots along the river. Various shops offer goods for sale including fresh fish and all basic requirements. The white sand is situated above a body of underground water which has leached out the red iron oxide coating of the sand grains, leaving the bleached pure white sand. On the southerly sides of the dunes you will experience the most awesome feeling in your life. Here the roaring sands will entertain you. As you move about on the dune, it will groan because of your weight. If you just move your fingers through the sand, a soft muted sound can be heard. This phenomena is caused by the dry air, uniform sand grains and the lack of the iron oxide coating. Witsand is easily reached from the N2 by a well tarred road. The distance is 30 km. Various interesting features can be seen along this road, including ostrich farming, blue cranes, storks, yellow mongoose and rock rabbit. There is also a man-made salt pan on which flamingos may occasionally be seen.